All the Communication Service Providers (CSPs) are actually not just that. Besides communication, they are also a source of entertainment to mobile users. Every telecom corporation offers various products like ringtones, caller tunes from popular movie songs, music albums to their customers. These are apart from their regular talk time recharge and are also billed separately. Such services are called as Value-added services (VAS). OSS and BSS software which maintain the individual billing of each mobile user can be used for easy management of VAS billing also. The best thing about VAS is that it has a very low Total cost of ownership (TCO) for the company. They can obtain the song’s distribution rights for a nominal sum. And CSPs are able to earn a very high Return on Investment (ROI) by selling the song to millions of customers. 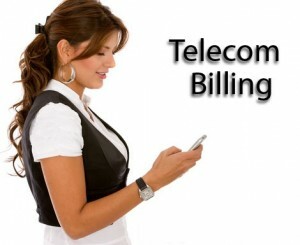 At Caretel, we provide integrated telecom billing services with VAS for our CSP clients. So add valuable revenue to your business with VAS, and manage it simply with OSS and BSS solutions. This entry was posted in Telecom Billing Solutions, Telecom Billing System and tagged oss and bss, OSS and BSS Software, OSS BSS Billing Solution, Telecom Billing System by admin. Bookmark the permalink.